Stanley Kubrick's first and only comedic masterpiece is still the finest ever made. I love everything in the movie: the brilliant acting, sensational script, flawless direction, and even those quirky visual effects. Not only was this film hilarious, it was a breakthrough for the entire film industry when first released. In addition to it's amazing satirical basis, the film also played a major role in how films were advertised and marketed... as if Peter Seller's performance wasn't enough! The sets were also very convincing and just plain great! So realistic in fact, that the FBI almost investigated how they got the B-52 Bomber replicated to near perfection! In the end, 'Dr. 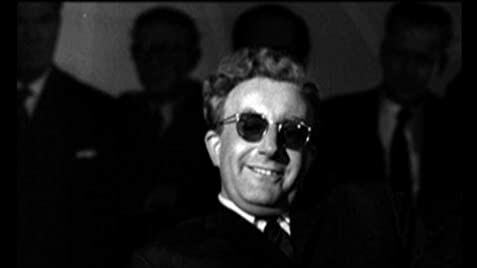 Strangelove: or How I Learned to Stop Worrying and Love the Bomb' is the best comedy. 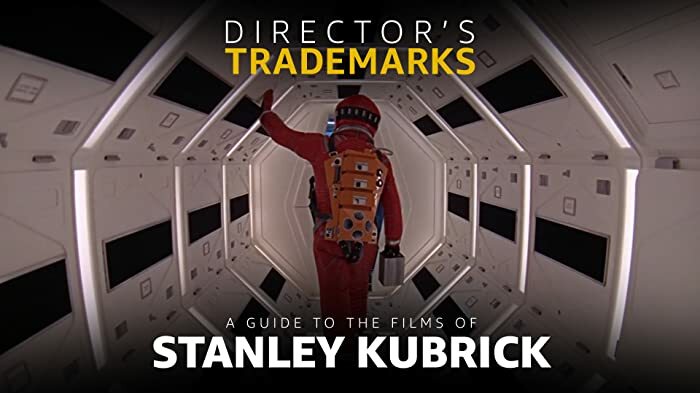 It's also another milestone in film making and another reason to be astonished when looking at the work of Stanley Kubrick. The character of Maj. T.J. "King" Kong (Slim Pickens) was based on Alvin "Tex" Johnston. Johnston was the chief test pilot for Bell Aircraft and Boeing in the 1940s and 1950s. Like Kong, he regularly flew wearing cowboy boots and a Stetson. While working for Boeing, he piloted the first flight of the Boeing B-52 Stratofortress, the same plane his fictional counterpart piloted in this film. Johnston was perhaps best known for his demonstration flight of the Dash-80, prototype for the Boeing 707, over Lake Washington during the 1955 Gold Cup Hydroplane Races. He was scheduled to perform a simple flyover. Instead, he performed a double barrel roll, leading many in the crowd--including Boeing president Bill Allen--to believe the plane was out of control and about to crash. The same year that this film premiered, Johnston was promoted to manage the Boeing Atlantic Test Center. One of the projects he worked on there was the development of the Minute Man missile. According to the movie, Colonel Bat Guano is a member of the non-existent 23rd Airborne Division. As seen in the Coca-Cola machine scene, his shoulder patch is from the 2nd Infantry Division. The screenplay title is incorrectly spelled. It reads: 'Base' on the book "Red Alert" by Peter George. This is pointed out on the DVD supplement about the making of the film. Three different screen aspect ratios have been used for video releases. The initial video releases up until the last VHS used a pan & scan transfer. Starting with the Criterion Collection laserdisc, as well as the later Columbia laserdisc, the film was presented "open matte" which meant that as much of the frame was captured as possible. Since many scenes were shot with mattes in-camera, the aspect ratio varied between 1.33:1 to roughly 1.66:1. This same version was used for the original and later Special Edition. In 2004, Columbia completed a new restoration of the film using an original fine-grain positive. This was utilized for a high definition transfer used for the 2-disc 40th Anniversary Edition DVD set. For the first time, this edition used 16x9 enhancement and presented the entire film at its theatrical exhibition aspect ratio of 1.66:1. While this obscures image previously seen on the variable ratio transfers, this preserves the intended "matted" wide-screen composition - very important for shots like Major Kong riding the bomb to the ground. In the variable ratio transfers, the rigging and projection screen edges are visible.